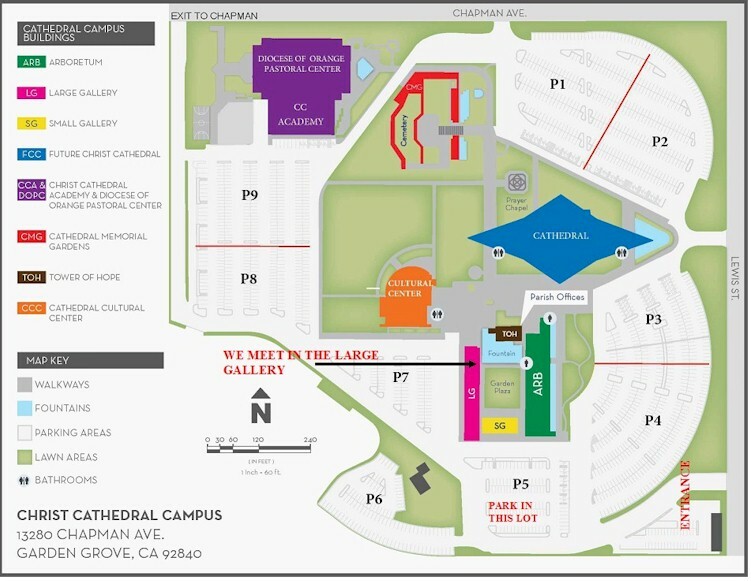 Christ Cathedral Assembly Meetings for January – June 2016. See map below. The Fourth degree meets on the Fourth Tuesday of each month except December. Our November meeting is a Memorial Mass on the fourth Tuesday in the Arboretum. 7:00 pm social and 7:30 pm meeting. Click Map below for larger image.